Google makes an entry into the Fall smartphone reveal by launching the Google Pixel 3 and Pixel 3XL right after Apple's pair of flagship devices the XS, and recently LG just revealed the V40 ThiQ. From my vantage point the Pixel 3 looks like a pretty decent smartphone, then again I'm still impressed with the Pixel 2. But let us turn our attention to this year's top-end variant, the Pixel 3XL. A much larger display infused with pretty exciting and controversial features. From all the information I’ve gathered, here's what you need to know about Google's newly released Pixel 3 XL. The Google Pixel 3XL has retained its minimalist design with a few incremental changes. One of those changes being the notch, the famed display notch which has become the staple feature seen on several flagship devices, more on the notch later. But let us focus on display, the Pixel 3XL has a 6.3-inch 29060 x 1440px AMOLED with an 18.5:9 aspect ratio. Now about that notch, many who had the honor of holding the Pixel 3 have made mentioned that by far it has the deepest notch ever witnessed on a smartphone, and I'm inclined to agree, judging from all the images I've viewed. Within the notch, aside from the camera, you'll find brand new set of stereo speakers over the top the old two speakers, potentially it should output better sound. The very edge of the Pixel 3 XL ( and Pixel 3) you'll find an aluminum frame that sits directly between the front and back of Gorilla Glass 5 plates. Switching over to the back of the device, it's entirely different from previous iterations where you had the two-tone color scheme encased entirely with metal; there's a frosted glass inlay that's infused into the glossy glass panel retaining its signature two-tone design. Google likes to call the frosted glass "soft touch" giving the appeared illusion that back is still made out of metal, enabling wireless charging. The internal hardware within Google Pixel 3XL is very much similar to what you have with most flagship Android devices on the market, circa 2018. It's rocking a 10nm Qualcomm Snapdragon 845 processor, an Octa-core CPU, Adreno GPU for the visual graphics. What's surprising the Pixel 3XL has only 4GB of RAM, all things considering most of your top end smartphones today are now topping out at 6GB or more. I'm curious to see how this smartphone will perform during the long haul. On the battery front, the Pixel 3 XL a 3,430mAh battery. The Pixel 2 can probably make a case for having the best smartphone camera on the market, the standout feature on the device. How will the Pixel 3 XL top last years iteration? Well, according to the camera specs, it should. The 3 and 3 XL retains its 12MP camera but completely adding a whole new front-facing setup. The camera specs goes as follow, the 12MP camera has a f/1.8 lens, large 1.4um pixels, dual pixel phase detection autofocus, and both optical and electronic stabilization. The front-facing camera is a significant upgrade from last years iteration, its dual 8MP setup. One camera has a f/2.2 fixed focus snapper with a 97-degree field of view and other having a f/1.8 shooter with a regular 75-degree FoV and autofocus. Google makes all the components and HDR+ technology. Right out of the box the Pixel 3 XL and Pixel 3 will come stock with Android 9.0 Pie, Googles newest and latest release. It will come fully equipped with Google Assistant that can be summoned by either voice or squeezing the Active Edge feature. Google introduces a new feature called Call Screen; this will allow Google Assistant to screen users calls and let anyone know who's calling ( US feature only). Google Assistant can wake you up featuring Sunrise Alarm displaying a warm sunrise colors right before the activation of the alarm. 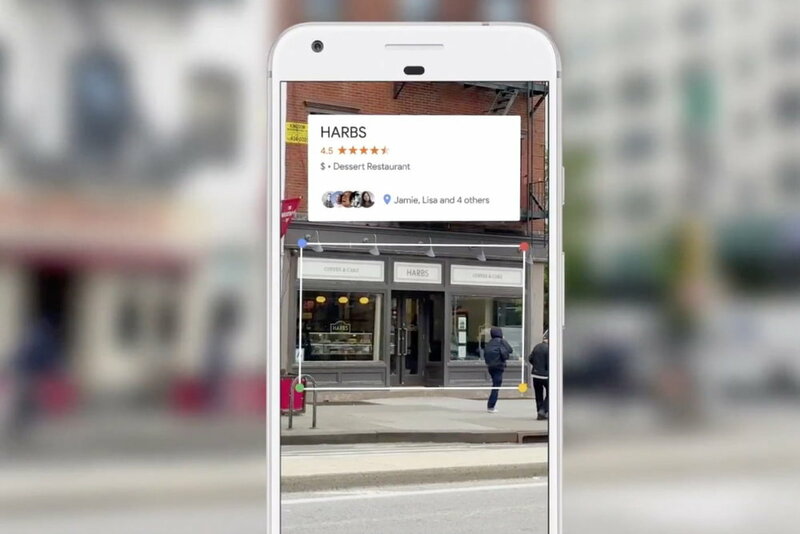 Then we have Google Lens; it receives an update allowing it to display suggestions, read QR codes, copy numbers and addresses directly from the camera, in real time. The final standout feature in Android Pie is Adaptive battery and Digital Wellbeing, operating by limiting resources to apps and services you may not be using while giving you a rundown on your actual usage of the phone with options to set timers for apps you might think is being overused.